Most industrial TFT LCD glass that is available on the market are TN (Twisted Nematic) types. TN has many advantages, the most important among them are: well-known technology which makes it very reliable, the possibility of using it in a wide temperature range and cost-effectiveness. However, TN suffers from the phenomenon called grey scale inversion. This means that the display has one viewing side in which the image colours suddenly change after exceeding the specified viewing angle. In most industrial applications it is not a disadvantage because displays are viewed from maximum three angles. Nevertheless, there are a few technologies on the market that overcome this TN feature. This is important especially in consumer products (like tablets and smartphones). These technologies are based on two main solutions which are MVA (Multi-domain Vertical Alignment) and IPS (In-Plane Switching). 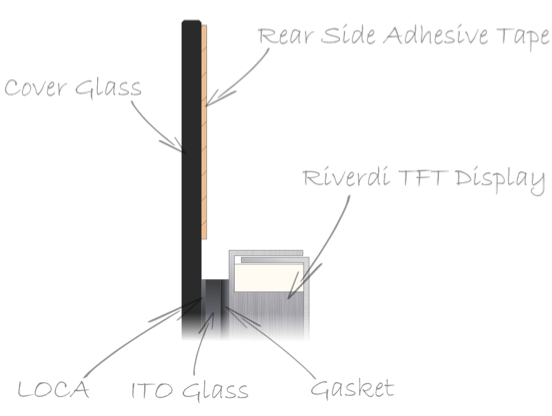 Riverdi can offer glass based on both technologies, however, they are not very popular in industrial products because of the significantly higher price. Through research we have found a solution to enhance TN glass viewing angles and – what is more important, how to overcome grey scale inversion. 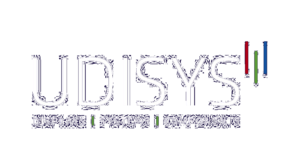 Our solution allow us to achieve lower prices than MVA and IPS solutions with similar performance. We change the structure of LCD TFT by altering the top polarizer with a special film that widens viewing angles. Picture on the right shows an example of a display with added O-film. You can see that grey scale inversion has disappeared and the viewing angles have become wider. 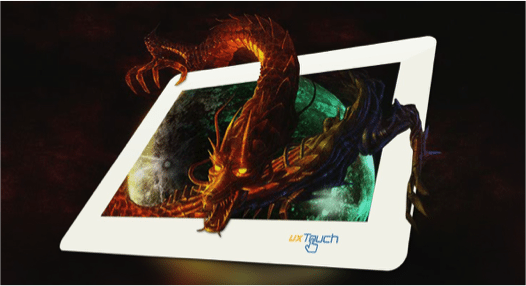 Our standard touch panels may be enough…!